In 2015, the Federal Trade Commission (FTC) held a workshop entitled “Follow the Lead” which put the lead generation industry under the microscope. Last September the FTC released a of what was learned in the workshop and their expectations of businesses that take part in the lead industry and the process of lead generation. The summary looks at how the process of lead generation and lead selling works and even covers the benefits of lead generation. 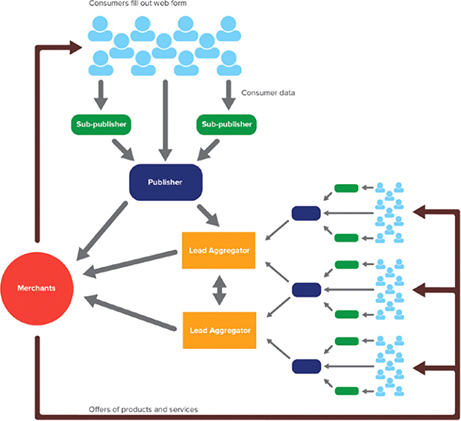 However, a large portion of the summary also focuses on undesirable consequences of the process of lead generation process and concerns for consumers. The summary shows the FTC is placing a strong focus on certain aspects of the lead industry and we therefore have put together this package of important highlights lead generators need to be aware of. Payday lending has come under scrutiny due it having a high-interest, high-risk lending structure that can potentially leave borrowers with large debt. The summary makes it clear payday lead generators are also being watched as much as lenders are. This means payday lead generators need to make sure they protect all sensitive information submitted by a lead and that they don’t under any circumstance unlawfully sell remnant or aged payday leads. Longer term, generators of payday leads need to ensure they meet full FTC compliance to avoid the threat of legal action and should be prepared for further regulation to be implemented. The summary also illustrated the FTC knows of deceptive marketing practices taking place in the lead generation industry. The FTC understands a lead can change hands multiple times between generation and final distribution and sale and maintains each hand involved in the process needs to make sure the consumer is not subject to deception by either the marketing offer and the actual service or product. The FTC also said both lead sellers and lead buyers have the sole responsibility for protecting the consumer, and should even monitor each other. If you have a lead seller that is unlawfully acquiring leads, you may be at legal risk. For lead sellers’ side, lead generators should have a vetting process for potential buyers to check for FTC violations in the past. A theme that repeats in the summary is direct references to specific legal action the FTC has taken against lead generators and buyers for violations. The FTC makes it very clear using best practices for lead generation and making sure to avoid deceptive or illegal practices is not merely a suggestion. Remain compliant with FTC rules or the FTC will have no hesitation in taking legal action. Certain lead generators have long tried to find ways around FTC regulations, eying up the opportunity of making a quick buck ahead of the best interests of the lead. Due to this and the continuing growth in the lead generation industry, the FTC is keeping pace with the changing industry in order to best protect consumers. This post is not intended to strike fear in offending lead companies, but rather provide further evidence lead companies need to put consumers first and remain honest for both legal and moral reasons and for the protection of the industry as a whole.